Long and lean this contemporary pillar candle is ideal for use with lanterns or displayed on it's own for magical candle lit displays. 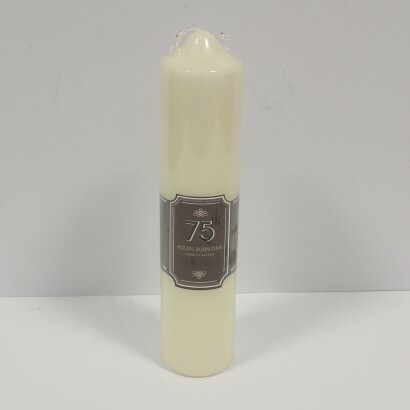 Standing at 23cm tall, add height to table decorations and displays around your home with this classic ivory pillar candle that has a fantastic 75 hour burn time! Real wax and real flame, enjoy a relaxing, intimate atmosphere with delicate candlelight!